MJR Alex was adopted by Ryan and Christal in Blue Ash. They recently lost Trixie's buddy, Rocky, who was part greyhound and she was pretty sad. 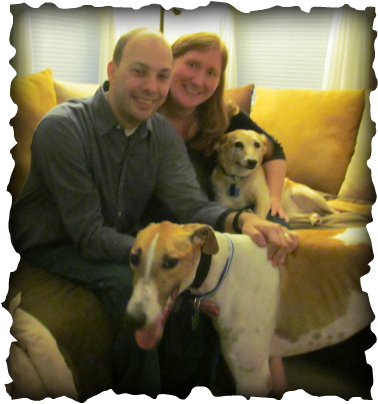 Christal always wanted a greyhound and when they met Alex everyone agreed he was the one to be their new family member! Except Levi he isn't real happy about it! Murphy their other cat seemed fine with Alex.